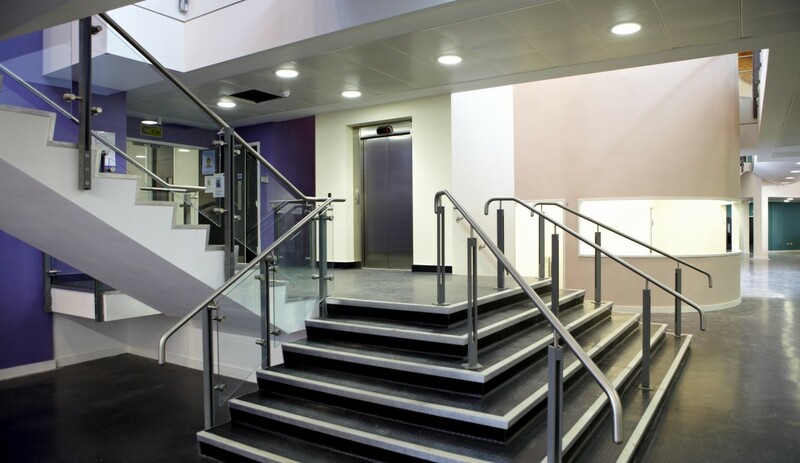 In 2011 this Community Secondary School opened its doors to the first group of students. 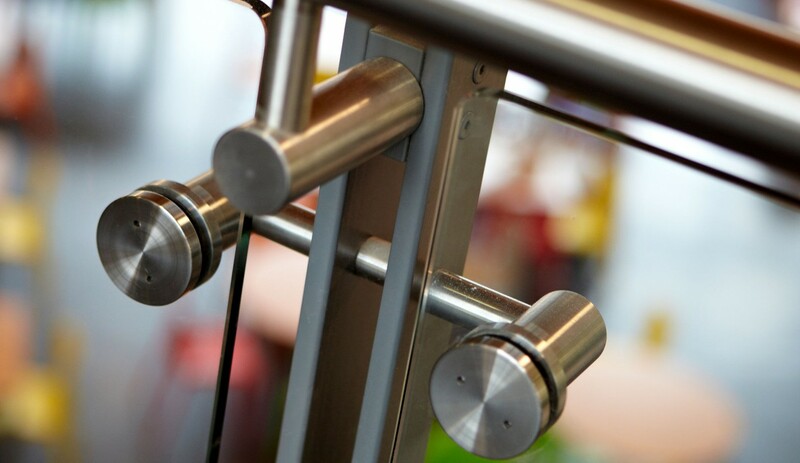 This remarkable achievement was the result of 10 years of endeavor and hard work, beginning in 2001 when the first community working party was established with the goal of providing a state-of-the-art community school encouraging education excellence for 11-18 year olds. 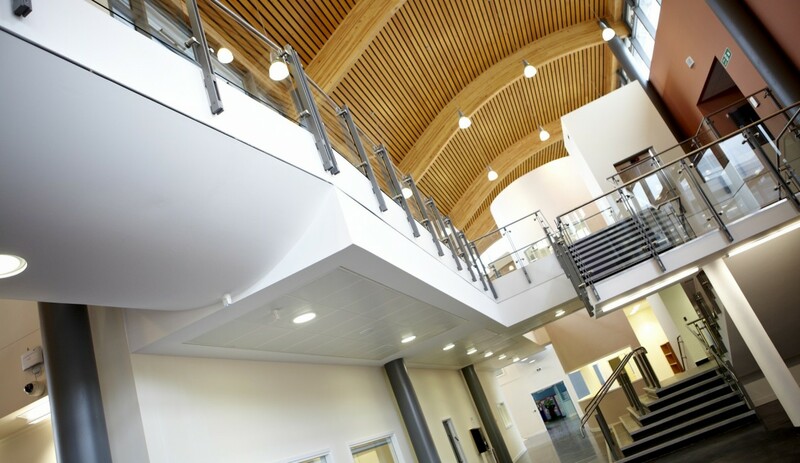 The architects design reflects the school’s ethos: the key element being the central heart space – high vault curved ceilings and beams in timber, wide corridors with long void areas requiring balustrading. 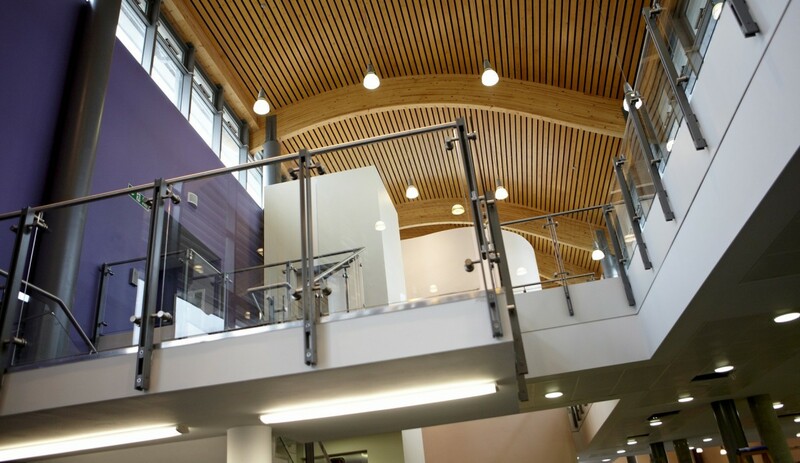 These areas provide accommodation for social, learning, meeting and event spaces and ties the four teaching wings together. 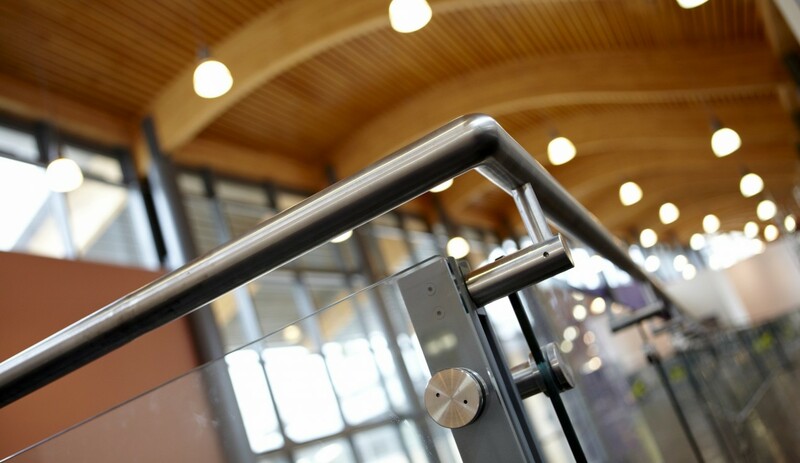 The school achieved a ‘Very Good’ BREEAM rating and opened on time and budget. 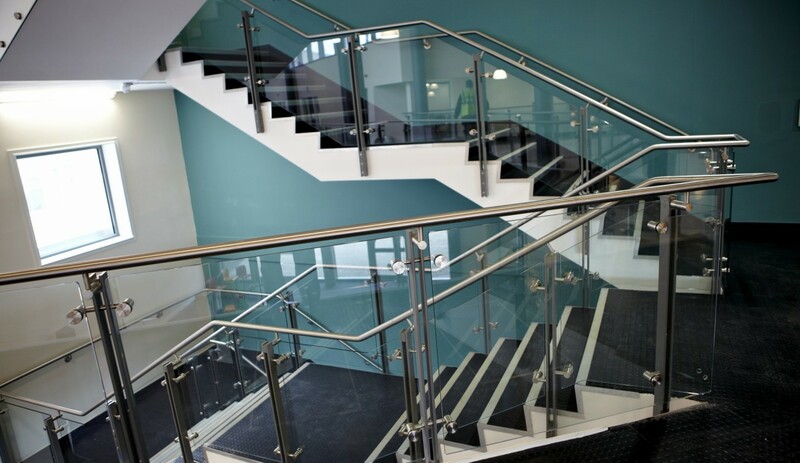 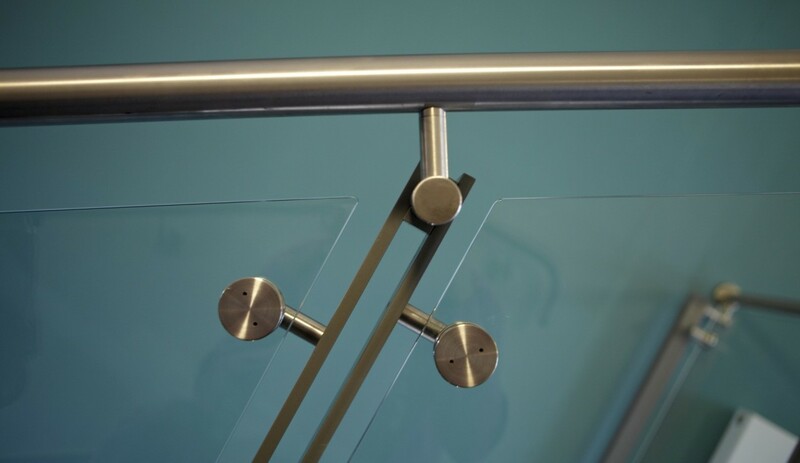 The architect’s balustrade specification called for powder coated twin bar uprights, offset stainless steel handrails and toughened glass panels along all the void areas and staircases including the spiral staircase. 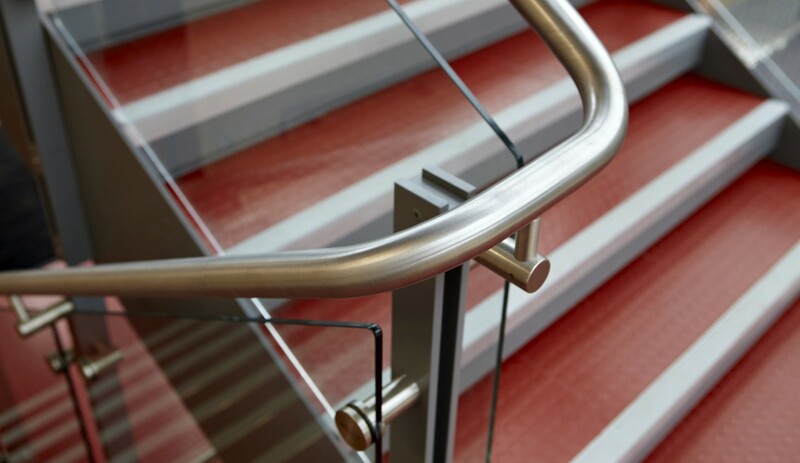 BA Systems design department worked closely with the architects to meet the design spec. 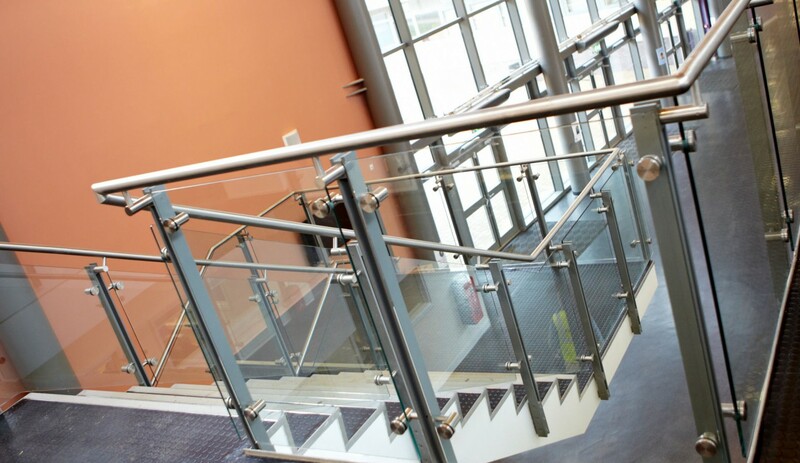 The result was long runs of elegant glass balustrading allowing natural light to disperse throughout the building. 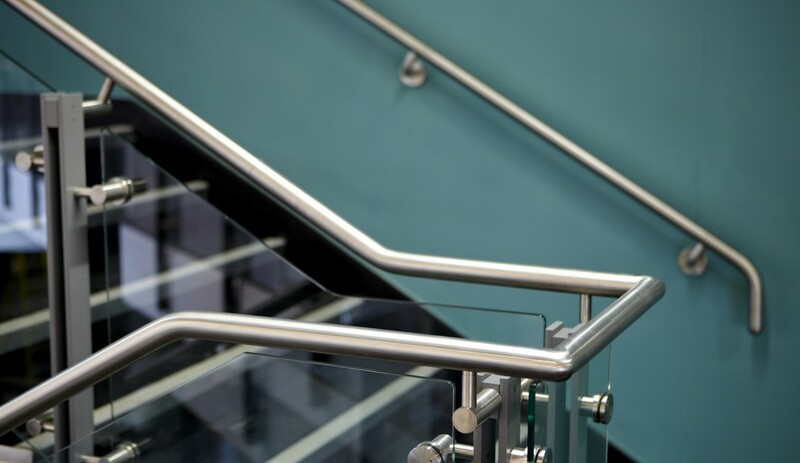 The twin bar upright balustrade product specified by the architect, was unable to achieve the 1.5 kN/m loading. 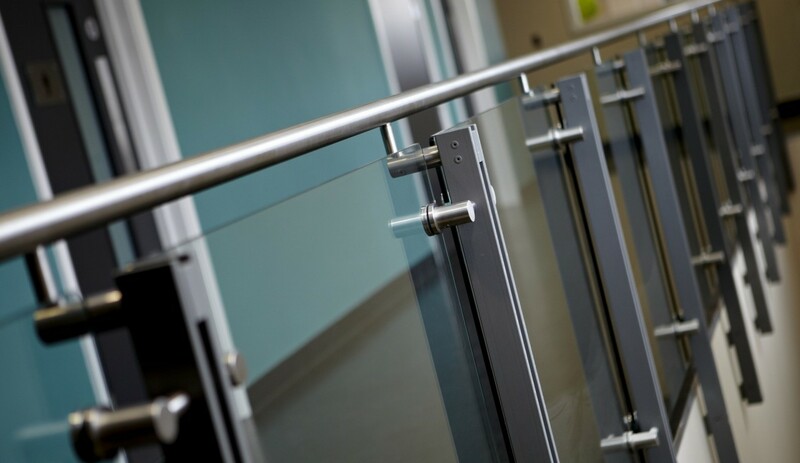 BA Systems technical design department were able to engineer a balustrade system that met the regulation loading requirements and achieved the architects specfications.